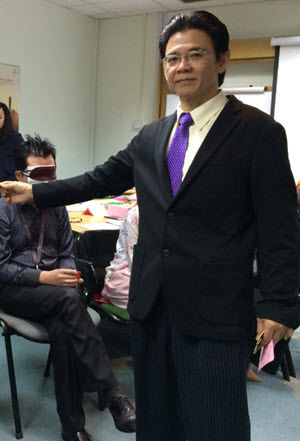 Freelance Trainer, Malaysia, Nelson Kok - - My Profile and Working Experiences, Providing Professional Trainer Services. Hi, I am NELSON KOK. I am a Consultant Trainer, Blended Learning Coach, and an experienced Intercultural Qualification Trainer. I obtained both my Master degree in Business Administration (MBA) and B.Sc (Hons) degree in Geophysics from Universiti Sains Malaysia (USM), Malaysia. I was a Certified Trainer since 1993 and also a Personality I.D® Consultant. I have over 31 years of experience working in Multi-nationals, Multi-racial settings, specializing in the area of Learning and Development. Today, I travel widely and enjoy working with all levels of employees, from the Top Management all the way to the frontline workers level. Throughout my career I had held various management positions ( such as General Manager, Human Resources Manager, Training Manager, TQM Manager, and Production Manager) in Multi-nationals and Malaysian companies before establishing my own training and consultancy firm. 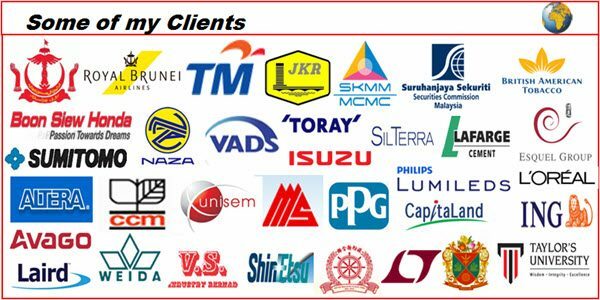 Today, I serve as a Consultant Trainer to several well-established training providers throughout Malaysia, Indonesia, Singapore, Brunei, Sudan, United Arab Emirates (U.A.E), Oman, and Kingdom of Saudi Arabia (K.S.A). I had facilitated and trained over 15,000 participants from various industries, both in multinational global and local corporations including BMW, SHELL, PETRONAS, MA’ADEN (Saudi Arabian Mining Company), OMIFCO (Oman), PORT SOHAR (Oman), CRISTAL (Jeddah), KENANA Sugar Co.(Khartoum, Sudan), MTN, ZAIN, BANK OF EGYPT, Petro-Energy E&P (Khartoum), White Nile Petroleum Operating Co., DAL Motors, Federal Electricity & Water Authority (FEWA) Dubai, Bahrain Electricity & Water Authority (BEWA) (Bahrain), Groz-Beckert (Indonesia), ThysenKrupp Industrial Solutions (Thailand), Global Edutech Management (Suzhou) Co, Ministry of Finance (MOF) Brunei, HP, Motorola, ALTERA, DELL, AMD, Western Digital, Seagate, Infineon, Agilent, Osram, Jabil, Plexus, Siltera, SONY, Matsushita, Sumitomo, Toray, Abbott, ING Insurance Malaysia, Lafarge Malayan Cement Bhd, Securities Commission Malaysia, Telekom Malaysia, Malaysia Communications and Multimedia Corporation(MCMC), JKR, VADS, Ministry of Finance (MOF) Brunei, etc. I also served as a part-time lecturer for several higher learning institutes such as Open University Malaysia (OUM), Society of Business Practitioners, UK (SBP), and International Centre for Quality, Sudan. My areas of specialization is in assisting and empowering organizations to achieve higher productivity, quality and effectiveness using proven Leadership, People-Management, Quality and IT techniques and tools. Contact me if you need my trainer services or if you have any inquiries. Country-specific trainings: Malaysia, Singapore, Brunei, Thailand, China, Sudan, U.A.E, Oman, K.S.A. Intercultural/Teambuilding Skills Training for Groz-Beckert in Indonesia, BMW's Malaysia & Indonesia CKD Car Assemblers in Malaysia, for ThyssenKrupp Industrial Solutions in Thailand. Performance Management Consultancy with Petro-Energy (Sudan-China JV Company) in Sudan. Leadership/Management Trainings for PETRONAS Marketing Sudan Ltd, DAL Group, MTN, ZAIN, KENANA in Sudan. Facilitator/Advisor for Executives Leadership Development courses for Apex-Dubai in Dubai. 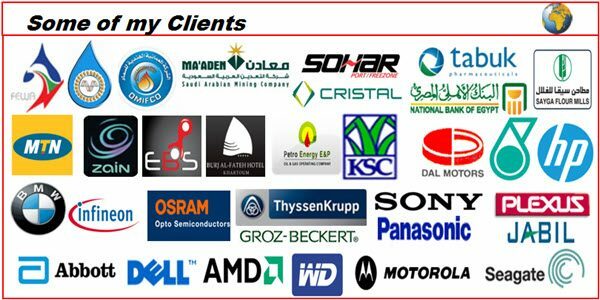 Training and Consultancy for MA'ADEN (Saudi Arab Mining Company) in Riyadh, KSA and for Port Authority, Port Sohar, Oman. QCC Development Consultancy for UMG Myanmar Co. in Myanmar. 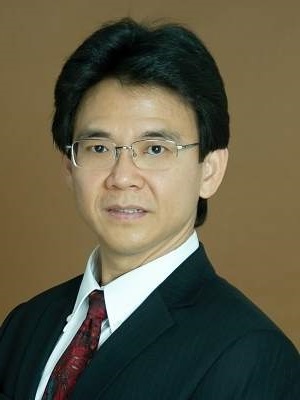 Lecturer for Executives Diploma programs in HRM representing Open University Malaysia (OUM), Malaysia; Society of Business Practitioners (SBP), UK; International Centre for Quality, Sudan. Project Management: Manufacturing Product Transfer for Sumitomo Metal Industries-Electronics Devices (SMIED) in Japan. Project Management: Manufacturing Product Transfer for Read-Rite/Seagate in Thailand. Leading & Facilitating QC Circles in National Competitions for AT & T Consumer Products in Singapore. READ-RITE (M) SDN BHD - - Multinational global company manufacturing Headstacks for Hard Disk Drives. AT&T CONSUMER PRODUCT, Singapore - - Multinational global company manufacturing wireless telephone & communication products. Here are some of my clients. Besides consulting and coaching work, I provide three types of learning courses.